-- Select a Size -- Small 24" x 18" - Out of Stock! 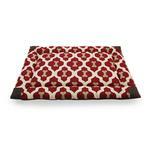 Medium 30" x 19" Large 36" x 23" - Out of Stock! 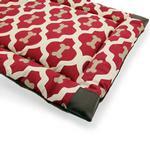 The Tall Tails Velboa Dog Bed in Bone Print is perfect for home, crate or car. 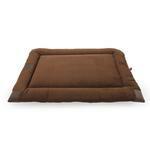 Our Tall Tails Velboa Dog Bed is the ideal resting spot for your loyal companion. Formatted to fit in most crates and kennels, this bed adds a layer of comfort to any environment. The reversible design provides adjustable comfort, choose the side that best suites temperature conditions and your dog's comfort preference. The soft hypo-allergenic polyester fill and luxurious fabrics are designed to provide your pet a relaxing place to rest and recover from their Tall Tail adventures! Completely machine washable and dryable. Tall Tails Velboa Dog Bed - Bone Print Customer Photos - Send us your photo! Pepper (The Enegizer Puppy) enjoys laying on the coffee table next to her crate and using the extra pad that is in top of her crate (her brother Abner's spot) to lay her head on after a long day. Abner needs a place away from his energized puppy but wants to stay close to his family. Although an unorthodoxed location he sits on top of an end table. Posted On 10/29/16 by Lois M from , CA Yes, Lois M recommends this product! Nice pattern perfect fit. One of my hounds just can't keep from pulling it out of the crate and off the bed. Haven't had it long to give a through review - but will need to wash one and see how well it holds up. Posted On 08/13/16 by Heidi from , IN Yes, Heidi recommends this product! I purchased one of these dog beds and just had to purchase a second one! Tall Tails brand products are one of my favorites. This dog bed along with other Tall Tails products I've purchased from Baxter Boo in the past are very durable and wash well. I'm using this dog bed in my puppy's crate and my pup seems very comfortable laying and sleeping on it. 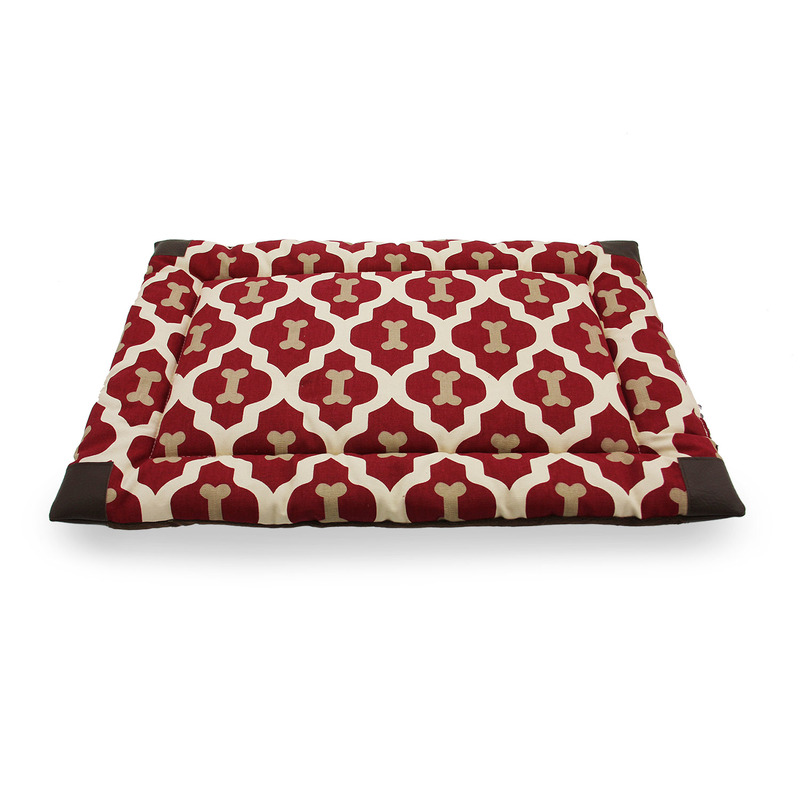 I also love the dog bone pattern of the bed because it coordinates with my puppy's Tall Tails blanket, which is also sold on Baxter Boo. You can't go wrong with Tall Tails products. The quality is excellent. I have only ordered once before and loved the harness dress. My dog is new.